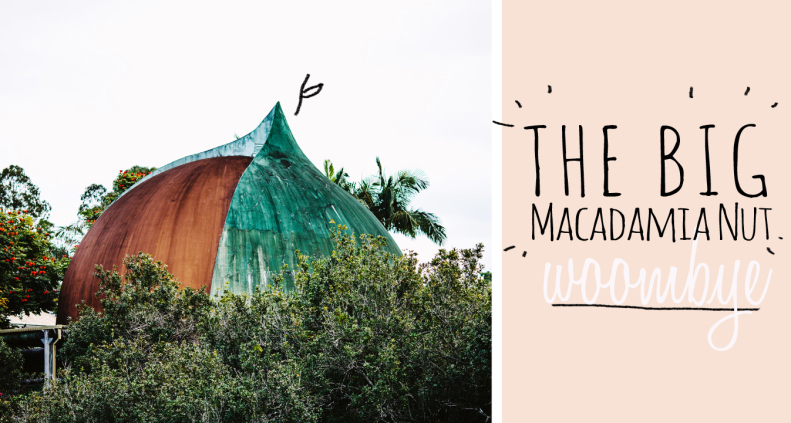 The Big Macadamia Nut lives at the Big Pineapple, it’s currently made friends with the surrounding overgrowth, but is still somewhat visible from the car park. The Big Pineapple has changed ownerships over the last few years; in 2012 it was finally bought with the intention of restoration. The Big Pineapple received a new paint job in 2012 so there’s hope for the nut too! Address: 76 Nambour Connection Road, Woombye, QLD.